The Purple Muse: Tweet Me! 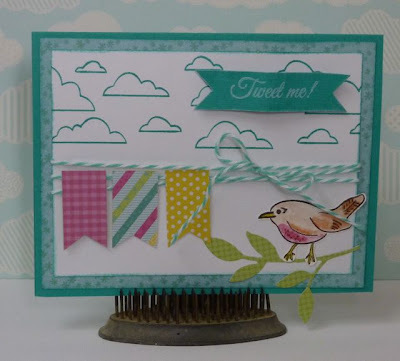 I'm not an avid Twitter user, but I thought this Scrappy Moms sentiment worked so well with the card I made for Celebrate The Occasion's sketch challenge. Very pretty! Thanks for playing @ CTO! Very cute creation! Thanks so much for joining us at The Sisterhood ‘Easter/Spring’ challenge and please come back again soon! Great card, I love your layout and image. Darling card!!!!! Love the clouds!!! Cute card! Thank you so much for entering the www.7kidscollegefund.com Challenge! The Design Team appreciates the time you invested in your project and that you have shared it with all our blog followers! Thank you so very much for joining playing in the 7 Kids College Fund Challenge!